Avoiding the Big Binge for Halloween! Dear Santa, Please Bring me a nook for Christmas! Start Your Holiday Shopping with a Wave Ripple! Going Outside with the Kids -- and Gators! Small Talk Six: Let’s Party! 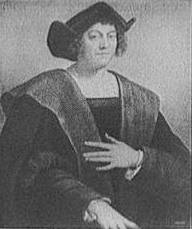 NOTE FROM SUSAN: Next Monday is Columbus Day! But, unlike Halloween or Thanksgiving or Valentine’s Day, it’s not a day that’s often associated with some sort of activity for kids that really teaches them the meaning of the day. So, I was really excited to receive the following article by Lori Jordan-Rice, author of the Miss Trimble’s Trapdoor book series. (Stay tuned for a review on this blog in the near future!) Lori has some terrific ideas for parents and educators about celebrating Columbus Day with the kids. If you ask your elementary school child what his or her favorite subject in school is, you may hear about science, reading, math, or even lunch or recess! A less likely answer is history. So many kids find the study of the past boring or of little use. Fortunately there are many ways you can use your child’s natural abilities and interests to make history fun. What better place to begin the adventure of American history than with Christopher Columbus this Columbus Day in October? If your child is particularly excited by reading and the language arts, you may want to begin by checking out some books about Columbus from the school or local library or visiting a bookstore. Children who enjoy reading are often open to suggestions about what to read. Your valuable input is still a wonderful motivator, even in the upper grades. The simple act of a parent showing interest and asking questions about what a child is reading will make it much more enjoyable than if it were a solitary endeavor. Don’t let the fun end with reading. Expand on what has been read by writing. Let your budding writer keep a journal or write letters home about what it must have been like to be aboard the Santa Maria with Columbus. Have him or her write to Queen Isabella as Columbus trying to convince the queen to fund his voyage across the Atlantic Ocean. Encourage him or her to take a different viewpoint, such as that of a native encountering Columbus and his crew for the first time. Have a little scientist on your hands? Try investigating the theories of the scientific world during the late 15th century. Most educated people had already turned away from the “flat earth” theory by the time of Columbus. What made them change their minds? Direct kids who are drawn to the life sciences to discover along with the great explorer Columbus the plant and animal life of the New World. Children who appreciate the logic and order of math may like calculating the distance from Spain across the Atlantic Ocean to the Bahamas. How many days did it take Columbus and his crew to reach their destination, and at how many miles per day? How does this compare to modern transportation? A young artist may enjoy creating models the Nina, the Pinta and the Santa Maria out of clay or paper mache. Let your child draw or paint scenes from all the locations explored by Columbus. Encourage creativity and utilize a variety of materials such as colored pencils, markers, and water colors. Musically inclined children may enjoy learning all the words to the song that begins “In 1492 Columbus sailed the ocean blue….” Incorporate musical instruments along with the verse, or even create new words or a different tune to the familiar song. Many children learn best when they have a physical connection to what they are learning. A fun activity for these kids would be measuring out the dimensions of the ships of Columbus in an open area, perhaps outdoors. All three ships were less than 30 feet wide, and the smaller two were about 70-80 feet long. How would it feel to be inside such a vessel with many other people for two months? Add to the fun by packing a “sailor’s lunch” of biscuits, beans, and salty fish such as that actually eaten by Columbus and his crew. If your child is the creative type, he or she may enjoy pretending to be a modern day Columbus. Imagine there is a distant land just waiting to be explored. Design a plan as to how you will get there. Who and what will you take on your journey? What kids of treasures will you discover when you arrive? Children who work best as a group may want to make a game out of recreating the fateful journey of Columbus and his men in 1492. Besides Captain Columbus of the Santa Maria, be sure to have two other children play the roles of the Pinzon brothers who headed up the Nina and Pinta. Even kids who have their sights set on the business word someday can find some fun with the Columbus story. The great explorer traded bells, glass beads, and red caps to the natives for balls of cotton and parrots. Young entrepreneurs can set up a “swap shop” with other children in the neighborhood or class with items they agree are of equal value and are willing to trade. History need not be boring. As parents it is our job to find ways to use our children’s natural abilities and inclinations to make learning every subject fun. American history can be an adventure for all children, those who love reading, math, science, the arts, and yes, even lunch and recess! Lori Jordan-Rice is the author of Miss Trimble’s Trapdoor and Miss Trimble’s Trapdoor: The Perseverance of Christopher Columbus, a new children’s book series featuring a fictional classroom full of memorable modern-day characters alongside historical figures such as the pilgrims, the founding fathers of the United States and, of course, Christopher Columbus. She is a former elementary school teacher who taught in Dallas/Fort Worth area school districts for 10 years. Her classroom experience ranges from kindergarten through sixth grades. Kids can visit www.MissTrimblesTrapdoor.com to write to main characters Tyler and Barney, as well as for helpful educational links, crosswords and word searches.